By day, she keeps correctional facilities safe by determining custody levels for incarcerated individuals and matching them with rehabilitative programs. By night, she becomes a roller derby star zooming around the rink in a sparkly, striped helmet and skates with neon green wheels. 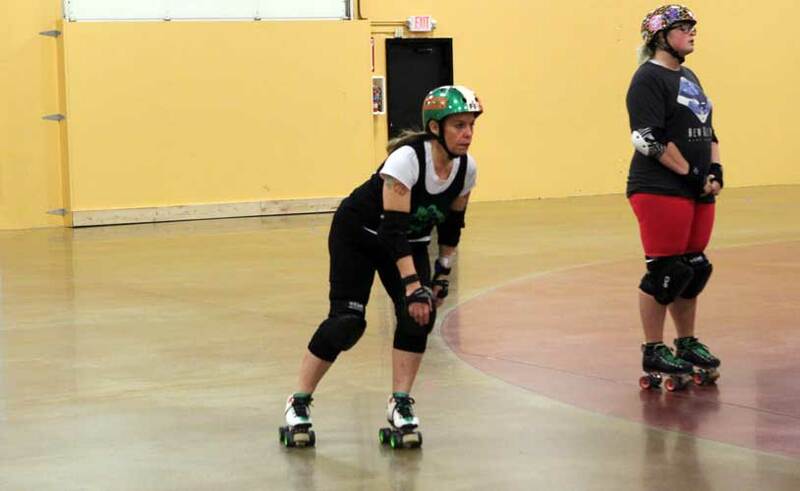 The Washington Corrections Center classification counselor is also a member of the Dockyard Derby Dames, Tacoma’s roller derby league. 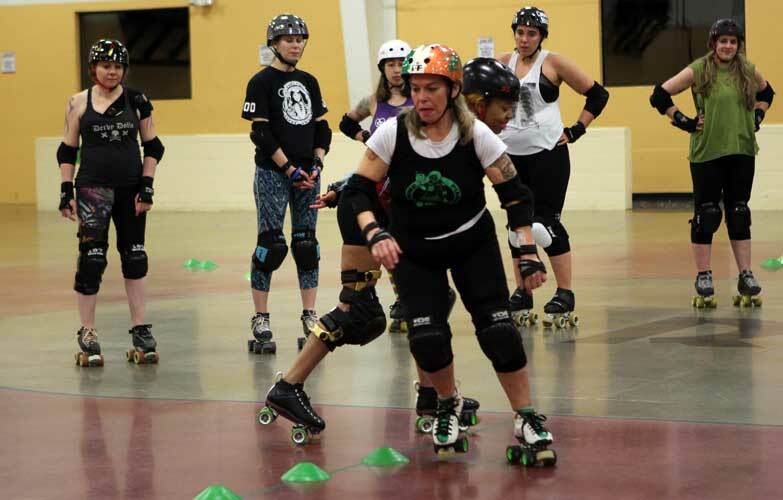 Glennon, 56, had to overcome a learning curve when she first tried out for roller derby. She learned to speed skate when she was 14 and continued until she was 27. When her child was born, she took a break from the sport. Raising a child and advancing her correctional career didn’t leave much spare time for skating. In 2008, after her grown son graduated high school, Glennon decided to revisit her passion. The 18-year gap left her scared, at first. Glennon says it took about six weeks of practice as a “new bruiser,” before she became eligible to get drafted on one of the league’s three teams. Glennon is currently a member of the Femme Fianna team. 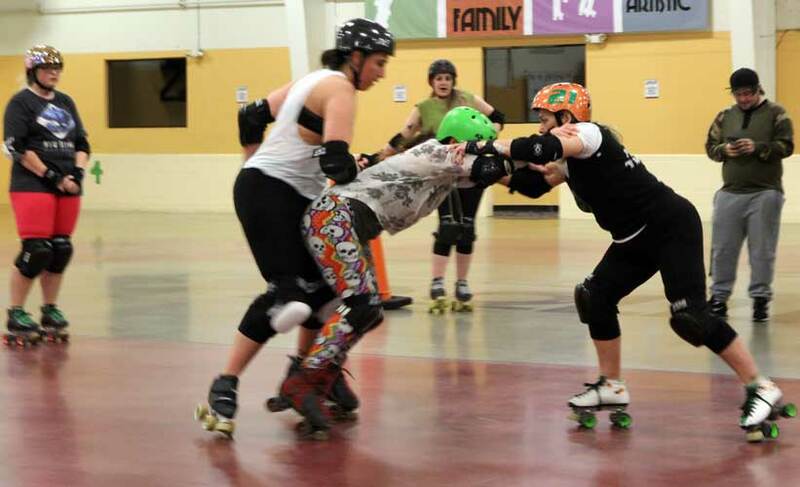 Training for roller derby takes a lot more than just being able to skate forwards and backwards. There are lots of fancy maneuvers that require agility. There’s also several contact-heavy parts of the sport, like blocking and taking hits and shoving through a pack of skaters. The International Journal of Injury Control and Safety Promotion surveyed 1,395 roller derby skaters in 2017. It found nearly half of respondents (48.7 percent) reported getting injured at least once in the preceding year. The most common injuries were those to the ankles and knees. About three-quarters of player-reported head injuries were concussions. Data seems to suggest you’re more likely to get hurt skating a roller derby than working in a prison. A 2011 study in the US National Library of Medicine National Institutes of Health estimates correctional officers experience about 254 work-related injuries per 10,000 full-time employees due to assaults or violent acts. 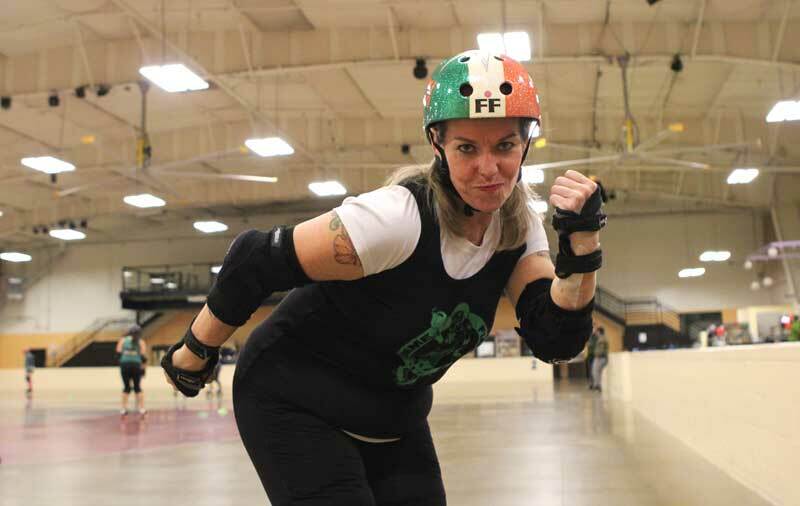 Since joining the roller derby league 11 years ago, Glennon’s had her fair share of bumps and bruises. The only major injury she’s gotten on the track was a torn meniscus that kept her from practice for two months. By comparison, Glennon has never been hurt on the job during her 19 years with the Department of Corrections. She says that’s because the department takes steps to ensure employee safety. For example, all facility staff receive training in defense tactics, prison safety, emergency management, and verbal communication. Glennon has a caseload of 60 incarcerated individuals. Her job involves getting to know the people on her caseload. She listens to what they say. She also observes their non-verbal cues so she can sense when something is amiss. Glennon says she enjoys the positive impact she has on people and communities in both her work and roller derby life. She says the derby league often backs charitable causes. Part of the ticket sales at some of the bouts go to local non-profit organizations. The league has raised money or donated items to groups that support breast cancer awareness and disabled veterans. The league has donated to the Forgotten Youth Foundation Team of Tacoma, which gives backpacks filled with school supplies to children from low-income families. Last year, Glennon’s team collected hats, gloves and miniature holiday stockings to place in gift boxes that inmates at the Washington Corrections Center made for Squaxin Island tribal children in the foster care system. 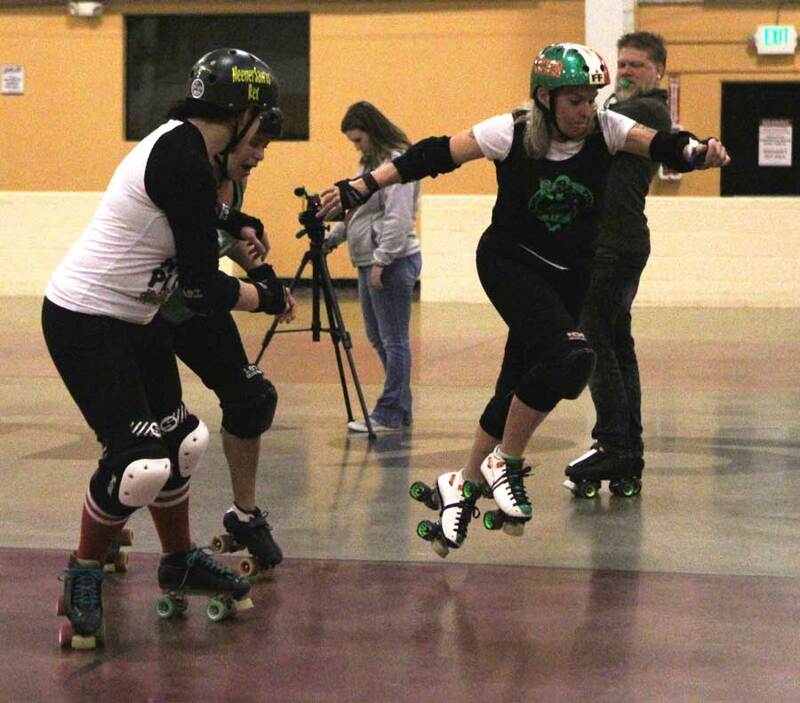 Glennon says the roller derby has given her more confidence in herself. A year after joining the league, she challenged herself to complete the annual Seattle to Portland bike relay. It’s a two-day event encompassing 203 miles. It’s the same philosophy she tries to instill in the incarcerated individuals on her caseload. Besides deciding custody placements in prison, classification counselors like Glennon help incarcerated people with their release planning. She remembers helping an inmate learn how to save enough money to find housing for when he got out of prison. This was before the state’s earned release date housing program (pdf), which provides eligible inmates financial assistance for housing. She met with the individual and helped him learn to set aside money from his prison job and keep a budget. Years later she ran into him in the community. He told her he had two jobs and had his own home, something he wasn’t able to do before his incarceration. 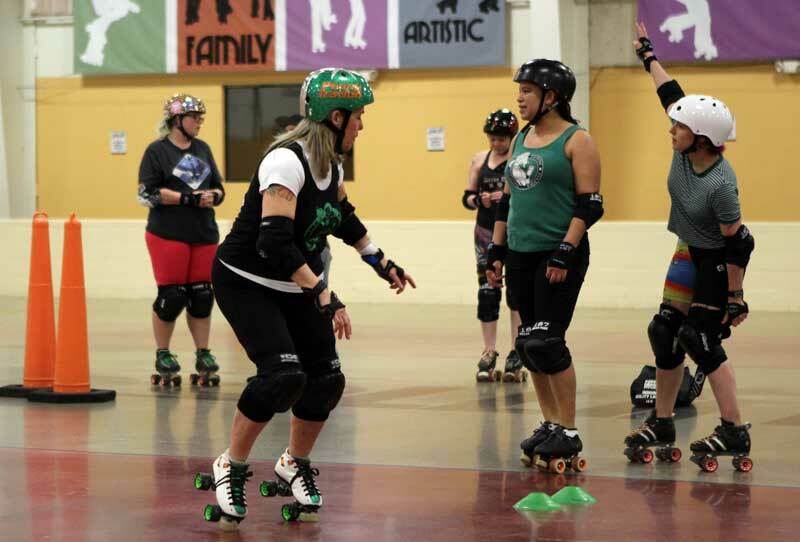 The Dockyard Derby Dames is Tacoma’s Roller Derby League. The league holds bouts once a month. The championship bout will be at 5:30 p.m. Saturday, March 16th at Pierce College, 9401 Farwest Dr. SW, Lakewood. Tickets are $15 at the door. For more information about upcoming bouts, or about the league, visit http://www.dockyardderbydames.com/ or https://www.facebook.com/dockyardderbydames/.